Agricultural law has been the focus of Gary Heim’s practice during his entire legal career spanning more than 35 years. He provides a broad range of legal services to Pennsylvania’s farm and agri-business community and has counseled thousands of the state’s family farms with the transition of those businesses to the next generation through his statewide practice. Widely known and highly respected in the agricultural community, Gary has served on the Board of the Agricultural Law Center of The Dickinson School of Law of The Pennsylvania State University. He is a past chairperson of the Agricultural Law Committee of the Pennsylvania Bar Association. He has been a guest speaker at programs sponsored by the Pennsylvania State University’s College of Agriculture, the Pennsylvania Bar Institute, the Cooperative Extension Service, the U.S. Department of Agriculture, and many other businesses, banks and organizations. 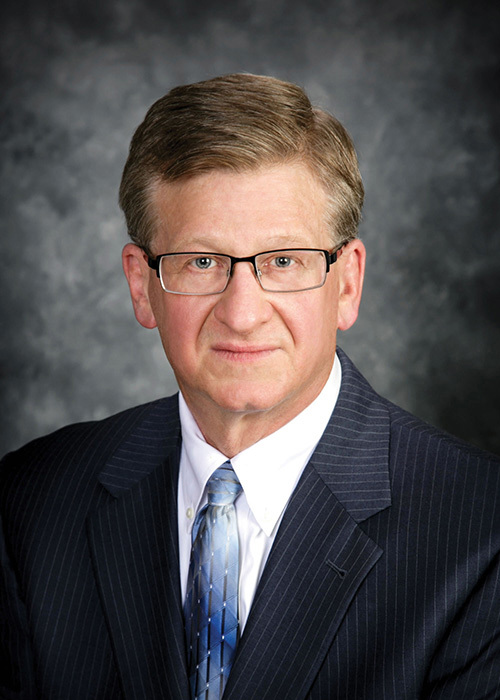 Since 1980, he has provided legal services to members of the Pennsylvania Farm Bureau through its Legal Service Plan. Gary was reared on a family farm in Schuylkill County. He now resides in the Harrisburg area with his wife. They have four adult children. He is actively involved in his church, the Susquehanna Valley Evangelical Free Church, where he is and has served in many leadership, teaching and child education programs. Pennsylvania State University – Dickinson School of Law, J.D. Will Your Whole Life Insurance Expire Before You Do? Some farmers have purchased whole life insurance as an integral part of their estate/farm succession plan. Some of our clients, who have purchased whole life insurance as part of their farm succession plan, however, are discovering, unexpectedly, that their insurance may lapse before their deaths, whether automatically or due to unaffordable premium increases. https://www.mette.com/wp-content/uploads/2019/03/Life-Insurance-Feature.jpg 310 700 ME&W https://www.mette.com/wp-content/uploads/2018/12/MetteLogo_white-1.svg ME&W2019-03-26 09:14:392019-03-26 09:14:39Will Your Whole Life Insurance Expire Before You Do? Most farmers and land owners have heard of a like-kind exchange, which goes by several other names, including a 1031 exchange or a tax-free exchange. The primary purpose of an exchange is to reduce the federal income taxes resulting from the sale of real estate. https://www.mette.com/wp-content/uploads/2019/03/Like-Kind-Exchange-2.jpg 310 700 ME&W https://www.mette.com/wp-content/uploads/2018/12/MetteLogo_white-1.svg ME&W2019-03-25 15:19:532019-03-25 15:19:53How Does a Like-Kind Exchange Work? As part of the succession planning process, most farm owners anticipate the challenge of balancing the older (transferring) and the younger (receiving) generations' financial needs. And, they know that a difficult decision about the fair distribution of assets among the on-farm and the off-farm children is inevitable. However, equally important in the succession planning process, discussing prenuptial and postnuptial agreements ("marital agreements") comes as a surprise or is uncomfortable for many from a family or moral perspective. As Benjamin Franklin famously declared, the only things certain in life are death and taxes...but the ag/family business exemptions enacted in recent years are reducing the Pennsylvania inheritance taxes for many farm families. With proper planning and action, both before death and even after death, these inheritance tax savings can be substantial. Goldsmith, James L. Hinkle, Brian J.